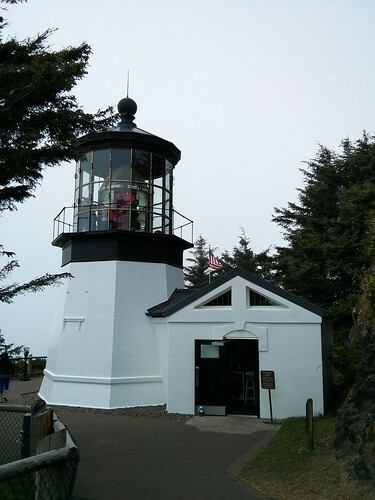 Mali Mish – Day 11: Cape Lookout, Cape Meares and Tillamook, Oregon. How is that for looking at the bright side? That being said the morning fog amongst the trees do make for a pretty nice scenery. This is the little bridge that connects Whalen Island to the main land. It is technically an island but as you can tell, not by much. We headed out today in search for another park with better phone connection. Since today is Friday, there is work to be done. 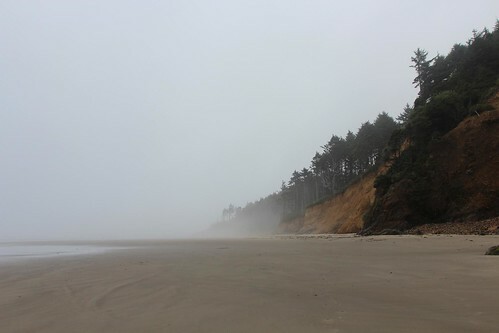 We once again headed north in the morning and found ourselves at Cape Lookout State Park. 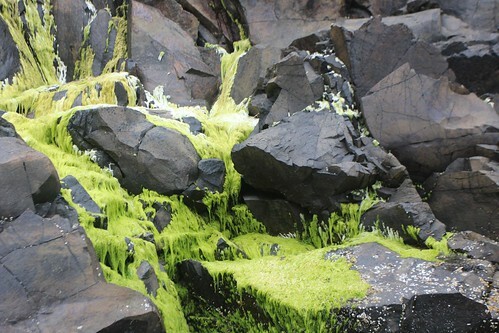 The coastline at Cape Lookout is pretty spectacular. I am starting to appreciate the coastal haze. Maybe I am just starting to accept it as part of its charm. We chose not to stay the night here since we had plenty of time to just hang out here in the day use area. 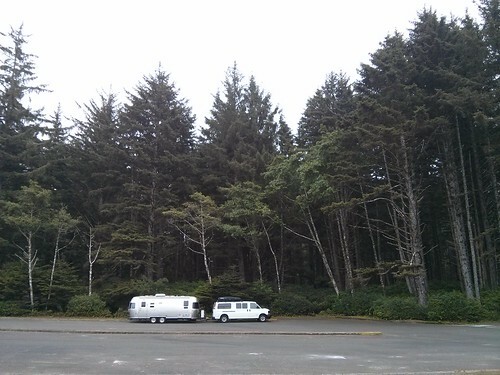 Usually at places like this, the day use parking lots have better views than the campground. Since there is good phone reception here, it’s a perfect place for us to spend the day. 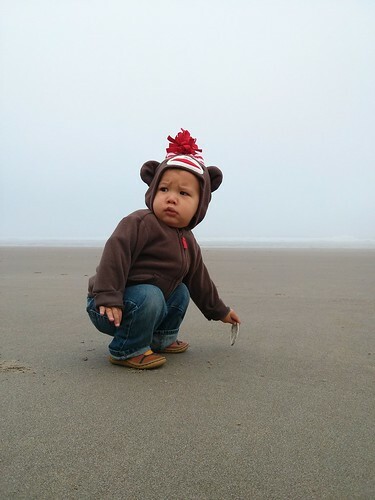 We found the elusive Oregon beach monkey. 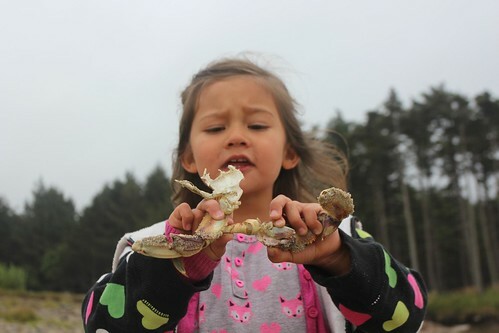 For some reason seeing crab body parts at its natural habitat is bit harder to explain to the little ones than at a Las Vegas buffet. 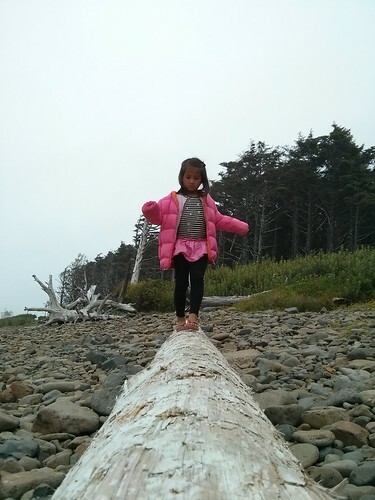 And did I mention that kids love playing on drift logs? This was my office for the day. Even though I had to stay a good part of the day inside the Mish, there isn’t a whole lot for me to complain about. 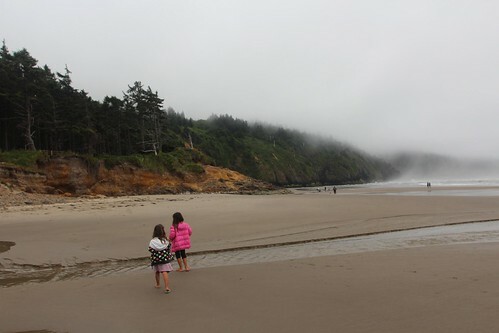 Meanwhile the girls and Luka continued to explore the amazing Oregon coast. While we are here during the day, we had to start contemplating our overnight arrangements for the evening. Being that it is a Friday, most campgrounds will be completely full for the weekend. 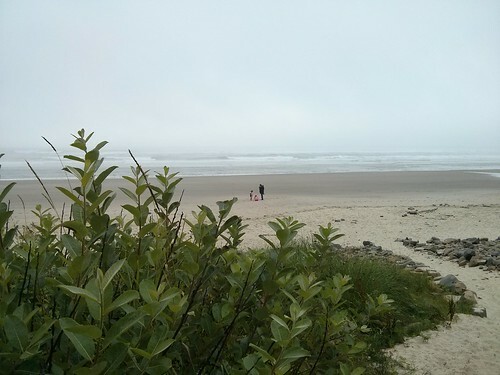 We debated long and hard about whether or not to head further inland for a visit to Portland. After some long thoughts about what it would entail, we decided against it. 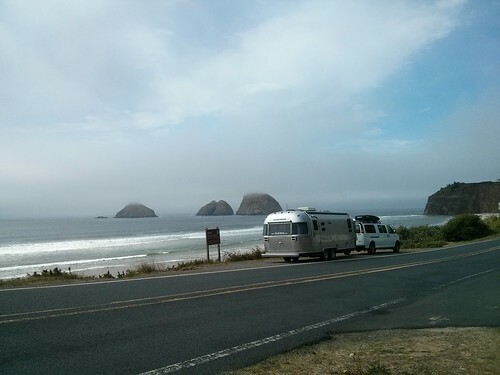 We decided that this trip through Oregon we will dedicate our time mostly along the coast. We will come back another time to spend time inland. There are lots of other places we would like to see that would not be possible this time around. 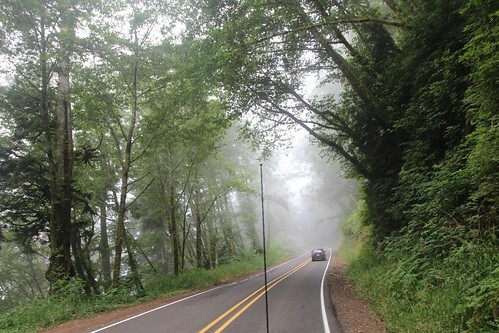 As we left Cape Lookout, we passed by Symons State Scenic Viewpoint. We just had to stop and get a few photos of this spot. At this point, we have no leads on where we would actually spend the night. 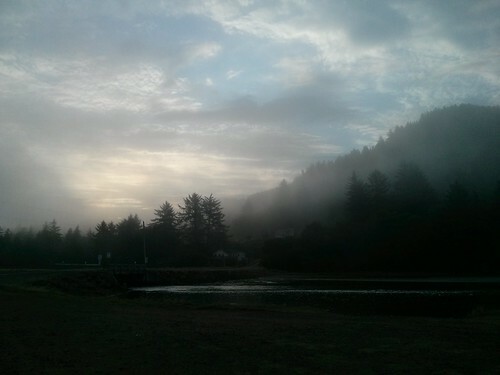 Driving north, we made out way to Cape Meares State Park just up the road. 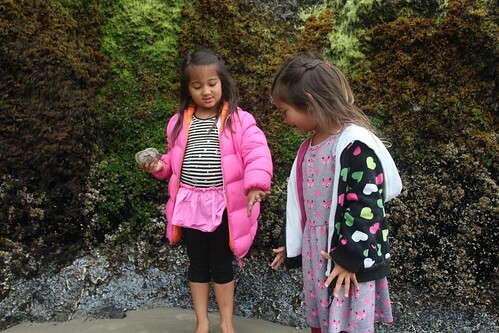 We figured since we are away from highway 101, we may as well explore for as much as we can. Unfortunately, there are no campgrounds here. Also the loop road that we had hoped to drive around is closed due to a landslide. But there is a pretty awesome lighthouse that we got to check out. 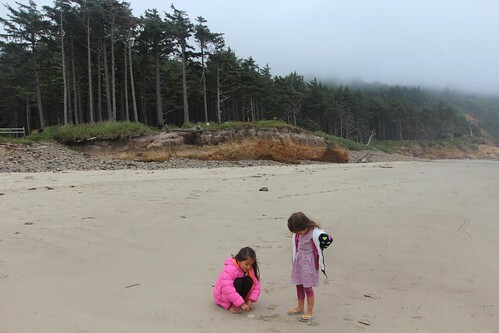 Before we headed back to the Mish after our lighthouse visit, Ava and I took a short trail to see a sitka spruce called the ‘Octopus Tree’. It is unknown how this typically straight-trunk tree grew in this fashion but it is thought to be at least 250 years old with a base of around 50 ft in diameter. 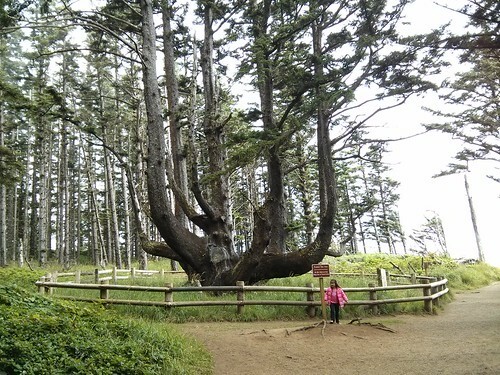 It was a sacred tree for the Tillamook people who have inhabited this area for several hundred years. 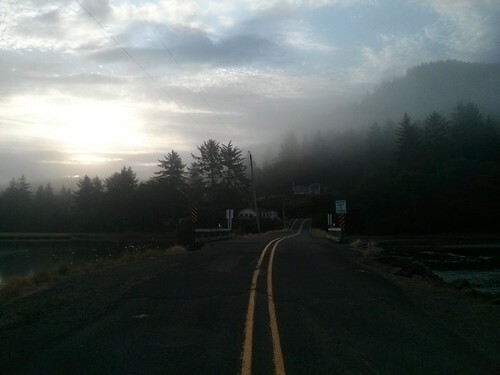 As we made our way out, we decided to head into the city of Tillamook. 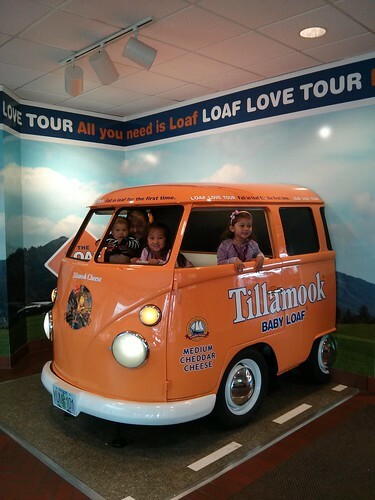 As many of you might know, this is where the famous Tillamook Cheese factory is located. The town is not very big and there are a handful of RV parks for us to stay overnight. 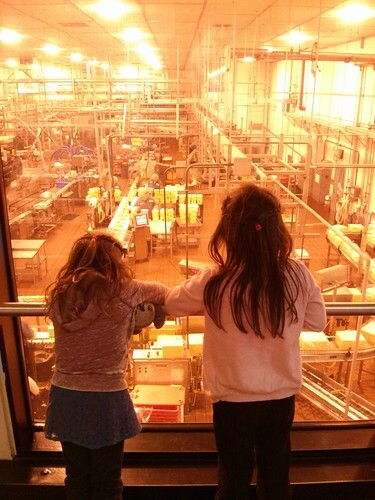 Before committing to anything, we decided to take the factory tour and gorge ourselves in some cheese and ice cream. This is where they cut the cheese. Excuse me. 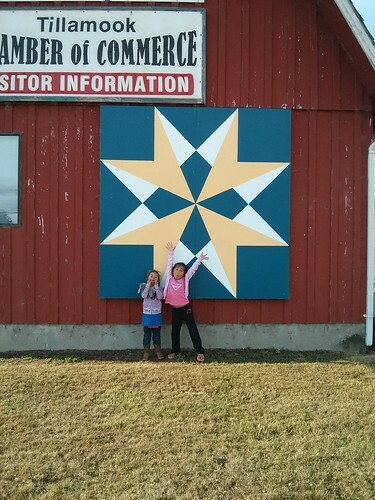 A replica of the Morning Star Schooner sits just outside of the cheese factory. The Morning Star is the only ship that was brave enough to transport the local dairy goods out of Tillamook Bay and into the rough waters of Astoria and to Portland when the rest of the ships were too afraid to make the passage back in the mid 1800s. 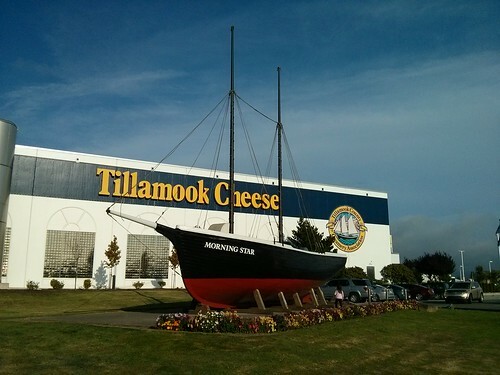 Thanks to that, the local dairy trade was preserved and today we can all enjoy the delicious sharp Tillamook cheddar. With bellies full of sample cubes of cheese, we went back to the parking lot to contemplate our night’s stay. A few web searches pointed us to the parking lot of the local air museum. We could not get a hold of the museum staff on the phone to confirm that overnight parking is ok so we decided to drive across town to check it out for ourselves. 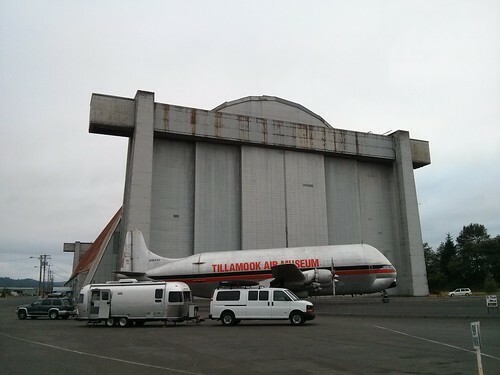 The Tillamook Air Museum is located on the south end of town and next to the airport. Being a mostly industrial area, we were initially hesitant to commit to staying the night there. We drove by a couple of times and finally decided to park next the only other trailer that was in the parking lot. It turned out to be quite the amazing and unique overnight experience. I don’t know about you but I’ve never camped next to one-of-only-two-ever-made mini guppy air freighters until tonight.